This morning as I drove through the park to work I saw 2 red-tailed hawks sitting in the cottonwood and a kestrel in the top of a sycamore. 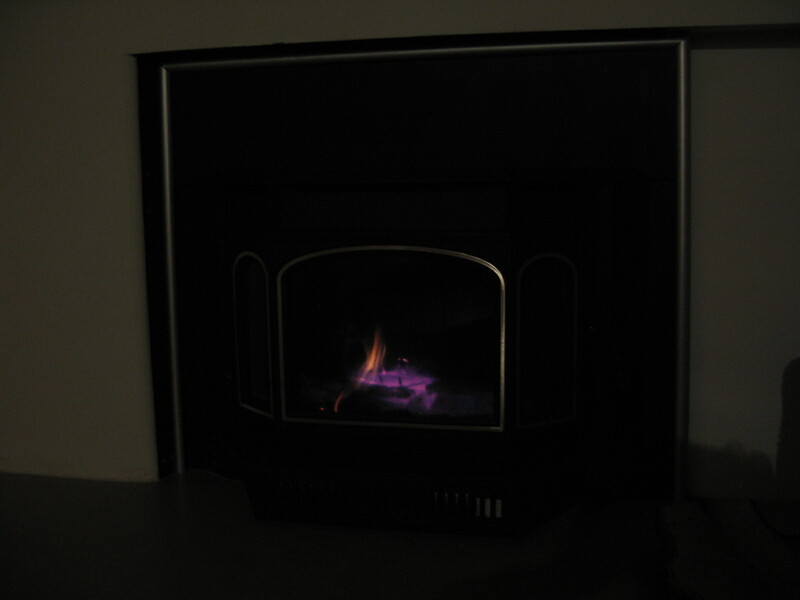 Tonight we have our first fire in the new firebox at home. Kitten Britches has parked herself in front of it with her stuffed green mouse, whose stuffing I sewed back in on Sunday. Such a domesti-kitty. What a change from the wild days of waking in the night to her and MomCat in tandem bringing a live mouse or two into the house for play. Or her very early days, before she lived with us, when MomCat would bring her every week or so to eat the cat food we put out and she’d eat until it looked like her little sides would burst like an overstuffed sausage. Then MomCat would take her away again to wherever they were staying, then a few days or a week later they’d come back, Britches all skinny again. No wonder she enjoys her new indoor life. 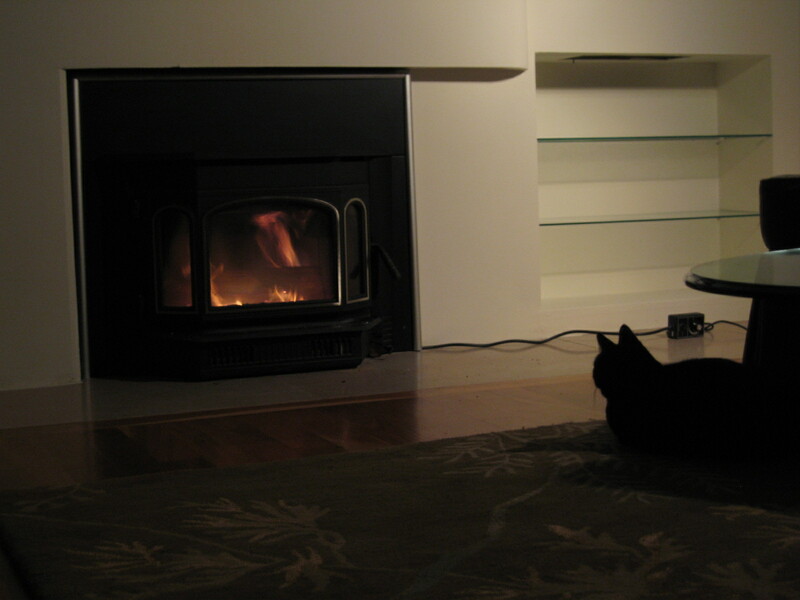 This entry was posted in cats, Uncategorized, Winter. Bookmark the permalink.